It is with deep sorrow and humble acceptance of God’s will that we announce the demise of Cyrus Ngaruma Komu. Son of the late Komu Ngungu and the late Wahuini Komu. Husband of Margaret Wanjiru Ngaruma. Loving father of Komu Ngaruma (Rtd Teacher), Sospeter Macharia (Chief Maragua Range), Mary Nyambura (Delmonte), Jane Waigumo (St. Anna Care Centre), Beth Wambui (Mbiri Pri), David Nduati (Thika Level 5 Hosp), Lucy Njeri, John Mwago (Nairobi Hosp), George Mburu and Catherine Muthoni (Delmonte). Brother of Wilson Gatuati. Step-brother of Wambui, Warui and the late Wanjiku. 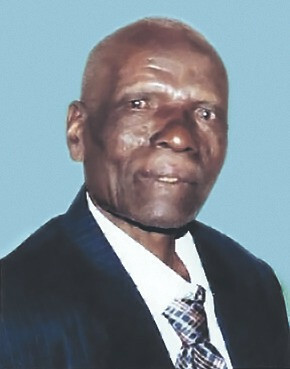 Father-in-law of Wanjiru Komu, Wanjiru Macharia, Mbugua, Wahome, Kimani, Faith Nduati, Maina, Esther and Elijah. Grandfather and great grandfather of many. Family and friends are meeting daily for prayers and funeral arrangements at his home in Kariko Village, Geitwa Sub-Location and Coconut Grill, Thika from 6:00pm. The cortege leaves Murang’a County Mortuary on Friday 25th May 2018 at 9:00am for funeral service and burial at his home in Kariko Village, Geitwa Sub-Location, Murang’a County on the same day.